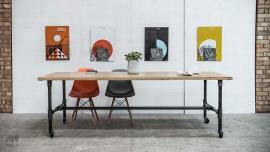 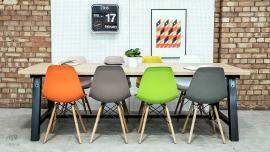 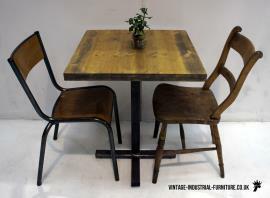 Our vintage industrial dining tables collection includes key designs such as the Refectory our Hairpin Leg styles. 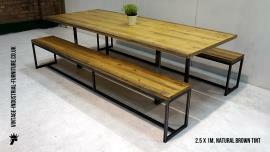 Please scroll down to see our range. 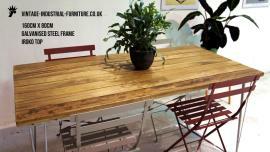 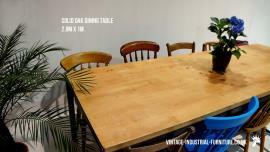 If you are looking for a simple, strong table perhaps consider our Vintage Industrial Oak Table. 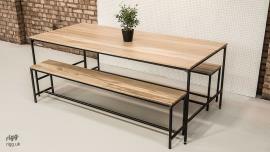 Add a touch of indiviuality to your space. 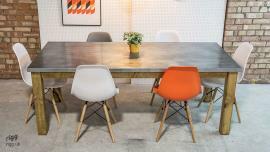 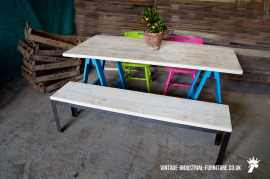 Our vintage industrial dining tables are available in a range of sizes and finishes. 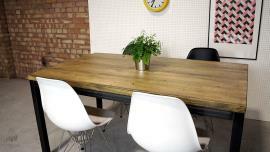 Solid oak tops are available for a rich, hard wearing surface. 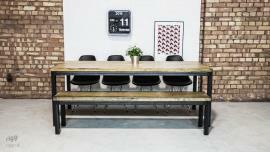 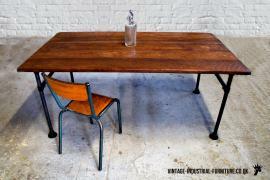 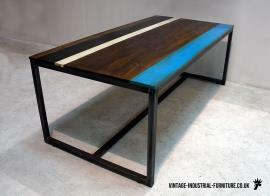 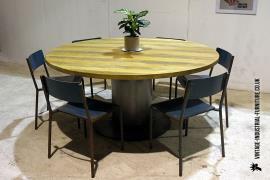 Besides bespoke sizes in 10cm increments, our vintage industrial dining tables can be bought directly on our website. 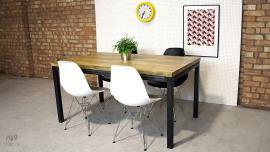 Dine in style in your tiny London flat with our 60 x 60 cm bistro table or if you have the space why not choose our oak dining table in 3m x 1m size. 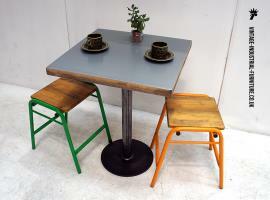 Many of our tables can also be made taller for applications such as a bar. 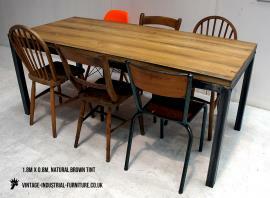 As with the size of your table, we can produce our vintage industrial dining tables in a variety of materials. 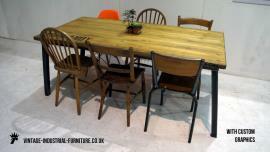 We have most common woods available including pine, oak, ash. 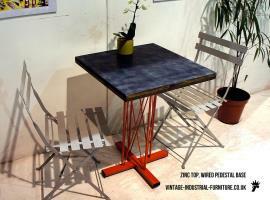 On top of this each of the woods can be finished in several colours from pale to dark. 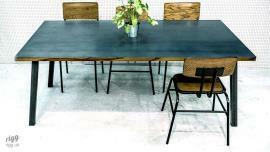 Some woods such as oak have a very rich, interesting grain pattern whereas species such as pine or ash tend to be simpler. 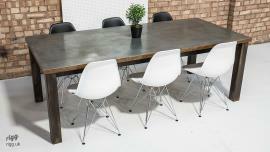 Please do contact us if you have questions about what we can produce for you.